Our very own Deborah Peacock completed our Head Start 5k run just seven weeks after major surgery to remove a brain tumour the size of a large orange. 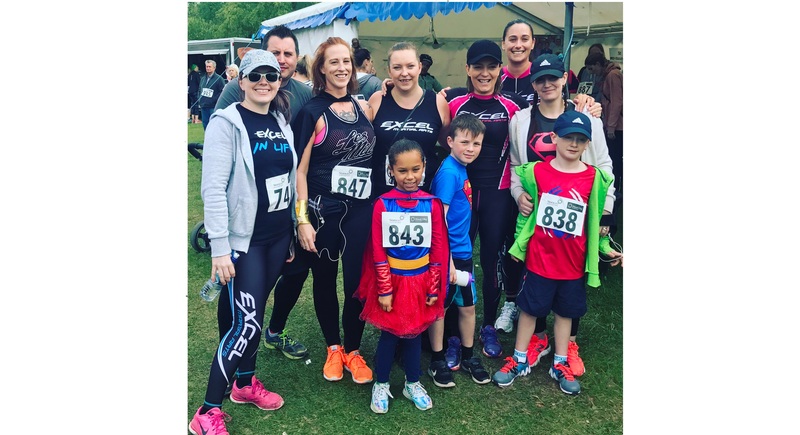 Deborah completed her 5K run with family and friends, helping to raise nearly £1,000. Deborah who is a martial arts enthusiast first noticed symptoms in January, with dizziness and changes to her sense of taste and smell at the age of just 31 years old. “My GP thought it was probably just a virus but then a few weeks later I had a seizure in my sleep and then another epileptic episode at work,” said Deborah, Finance Manager at Elevation Recruitment in Rotherham. Scans revealed she had a benign brain tumour the size of a large orange taking up most of the temporal lobe area of her brain. On March 20 the Mum-of-two had surgery at Sheffield’s Royal Hallamshire Hospital which has successfully removed around 90 per cent of the tumour. Just seven weeks later she was on the start-line of the Head Start run at Rother Valley Country Park and completed the 5K course in just 41 minutes. Deborah, who is facing further radiotherapy and possibly chemotherapy treatment, was joined by family including husband Michael, friends and fellow members of the Excel Martial Arts Academy in Sheffield where she trains. “I am normally very fit and healthy, and did about 10 hours a week of martial arts training before this happened, so even though it has been such a crazy whirlwind, I was not just going to roll up into a ball,” added Deborah from Clowne. Deborah was among a record-breaking field of 832 entrants for this year’s Head Start chip-timed 10K and family 5K fun run. We are astounded by the strength and courage that Deborah inspires. She set her sights on taking part just days after her brain surgery and her determination shone through! Well done, you’ve done fantastically and we’re so happy for you.